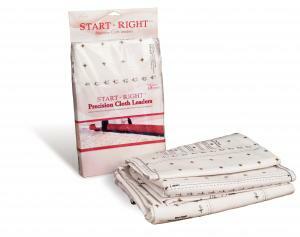 Start-right Precision cloth leaders help you manage your quilt from start to finish. 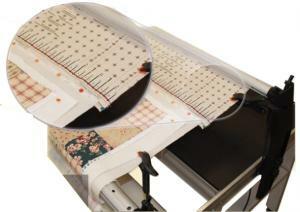 A time-saving product for accurately installing your fabric layers to your quilting frame. 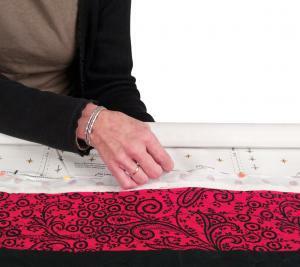 Manage your quilt from start to finish with precision cloth leaders as you use your machine. Comes with velcro strips for holding fabric to back rails. The order was one of many placed in a sale. After a week I contacted the company to see where it was. got a lovely response about the huge response causing the delay and a delay from the vendor. Then I got a notice that the order had shipped. I certainly wasn't asking for special service, but I got it. Thank you! thank you. the order came very quickly. You are great, always good products at a good price and excellent shipping. Thank you so much for your help. I plan on ordering from you again in the future. The manner in which you handled this shipping problem was excellent. It seems you know the true meaning of "customer service:. I have been very satisfied with all orders through All Brands. I will be ordering from you again! Thank you! At first I was concerned about the price and having to alter the size. 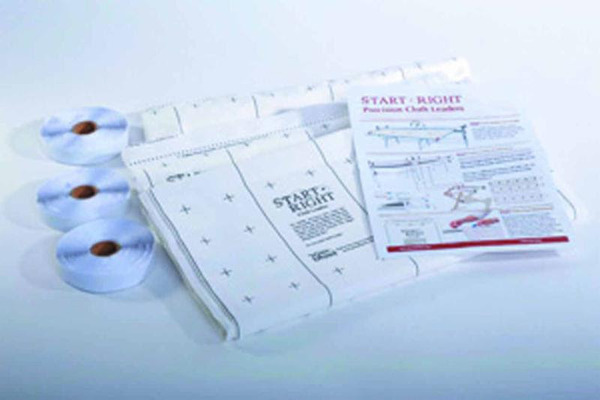 I'm new at quilting and didn't really understand what cloth leaders were used for. But after receiving the product, wonderful! I am very pleased with this product.